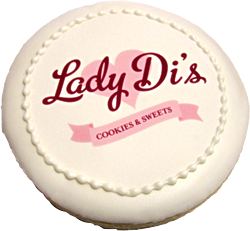 How About Your Picture or Logo on a Lady Di's Cookie? 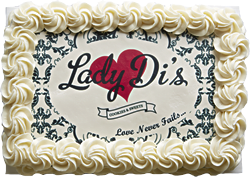 Let Lady Di's transform your corporate event or special family celebration into a delicious, fun, and personal experience! Edible ink printed on rice paper is applied to cookies and cakes, and chocolate discs are created to top your favorite cupcake to create your personal work of art. They're not only beautiful... they're delicious! Call us today to discuss your event needs.